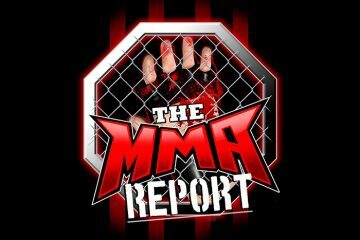 On this episode of The MMA Report Podcast, Jason Floyd and Daniel Galvan discuss the UFC announcing earlier this week that makes ESPN+ the exclusive provider for UFC pay-per-views in the United States. Their conversation opens with them discussing how this deal shows that the sport of mixed martial arts is going all-in on digitial streaming and Jason offers up his expertise on how the commercial pay-per-view process works. Plus, they discuss the price point and ponder this question: How does this benefit the fighters? The next topic of conversation is T.J. Dillashaw. On Wednesday morning, Dillashaw revealed that USADA and the New York State Athletic Commission have found adverse findings in a drug test. Due to this, Dillashaw has informed the UFC that he is relinquishing his bantamweight title. After they give their thoughts on that story, it’s time for the interview portion of the show as you will hear Jason’s recent conversations with Emmanuel Sanchez, Linton Vassell, Chris Gutierrez and Matt Bessette. Up first is Sanchez (41:17) as he previews his rematch against Georgi Karakhanyan in the main event of Bellator 218. Next up is Vassell (53:40), who previews his fight in the co-main event of Bellator 218. Then Gutierrez (1:04:20) joins the show to preview his fight on Saturday at UFC Nashville and in the final interview, Bessette (1:17:37) previews his fight next week at CES MMA 55. And in the final portion of this week’s show, the guys recap UFC London and preview this weekend’s UFC and Bellator events. They will tell you their takeaways from UFC London, the questionable scorecards from the event and discuss some of the matchups that interest them on Bellator 218 and UFC Nashville. 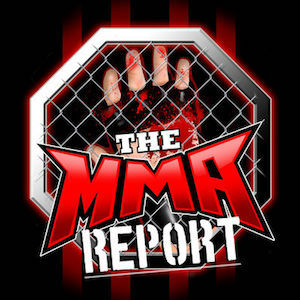 This week’s episode of The MMA Report Podcast is presented by Roman. Roman is a one-stop-shop where licensed US physicians can diagnose erectile dysfunction and ship medication right to your door. With Roman, there are no waiting rooms, awkward face-to-face conversations, or uncomfortable trips to the pharmacy. You can handle everything discreetly online. All you have to do is visit GetRoman.com/MMAREPORT, fill out a brief medical on boarding, chat with a doctor, and get FDA-approved ED meds delivered to your door in discreet, unmarked packaging.